It’s April 2019 already, so you know what that means — the Leesburg Bikefest is back on April 26-28! 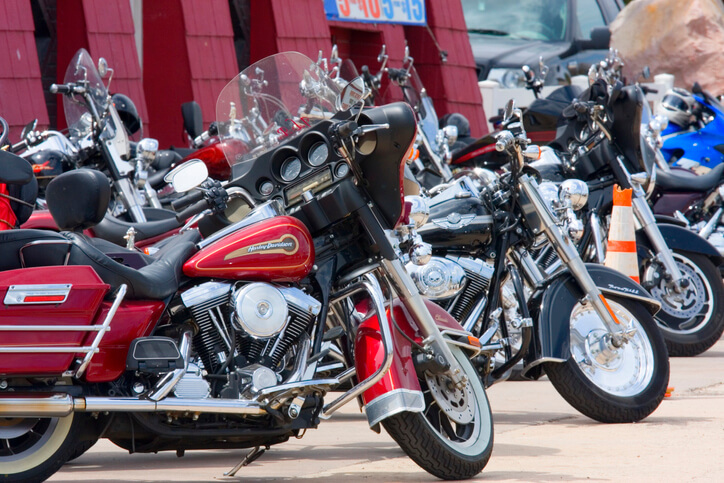 In preparation for the bike shows, concerts, and festivities that are right around the corner, the motorcycle attorneys with 911 Biker Law have 10 quick tips to help make this year’s Leesburg Bikefest safe, convenient, and fun. Finding a place to park during a big event can be a hassle, even if you’re on a bike. But Downtown Leesburg offers lots of parking, including the “Park and Walk Lots” that are just a short walk from Main Street. Parking costs just $5 for bikes and $10 for vehicles. Plus, the proceeds go to the good causes that host the lots. And if you want to park even closer to all the action, free on-street parking is available for riders and drivers alike. Main Street parking is reserved for bikes — perfect for showing off your ride. But free spaces are limited, so arrive early. Bikers come from all across Florida to attend Leesburg Bikefest; some even travel from out-of-state or internationally. Those who ride to the event have memorable experiences, but all the miles and road-time can also lead to dead batteries, flat tires, even highway accidents. That’s why 911 Biker Law provides free tow cards for roadside assistance covering mechanical breakdowns and riding accidents. Come by our motorcycle law office near Orlando or visit our website to request a free tow card or to learn more about how we handle accident and personal injury cases. As personal injury attorneys, we take road safety seriously and encourage safe transportation habits both for riders and pedestrians. Lake Xpress offers a shuttle from parking lots and local hotels right to the venues in Downtown Leesburg. With a convenient schedule and all-day passes available for just $3, the shuttle is a safe and efficient way to navigate Leesburg Bikefest without any hassle. Downtown Leesburg features many restaurants and bars offering everything from breakfast and coffee to pizza and fresh seafood. Some of our favorite places to grab a bite to eat are Great Chicago Fire Brewery & Tap Room, Magnolia’s Oyster Bar, and Three Generations BBQ- Formerly Pine Street BBQ. To find more options, check out the restaurant listings on Leesburg Eats. Classic festival food staples, such as funnel cakes and other deep-fried goodies, are also sold around Leesburg Bikefest. Leesburg Bikefest wouldn’t be the same event without its huge live music lineup of more than 55 concerts! From cover bands and new groups to established artists like Vanilla Ice and Vince Neil of Mötley Crüe, there’s a musical performance out there for every motorcycle-lover. Watch the Vanilla Ice or Vince Neil performances from the best seats around with VIP tickets. Tickets offer access to the front of the Town Square Stage as well as the VIP tent, which include comfortable seats, a full cash bar, and complimentary food. VIP tickets are sold online for $85 until midnight on April 26, after which the price goes up to $100. What would Leesburg Bikefest be without custom bikes on display? None of us will need to find that out because this year’s event features not one but two bike shows and an awards show. Whether you plan to showcase your custom bike or admire the creations of other builders, make sure not to leave the event before seeing the bike shows. Need a refresher on motorcycle safety? Join the “Ride Like a Pro” class in LifeStream Square, courtesy of instructor Jerry “Motorman” Palladino. Classes are held April 26-28 at various times throughout the day. As motorcycle accident attorneys and bikers ourselves, we encourage all riders to brush up on safe riding habits every so often. It’s always worth the time to take a moment to salute the men and women who defend our country. While at Leesburg Bikefest, you can pay tribute to local vets at Leesburg’s honorable Veterans Memorial at Veterans Memorial Park, located just a block from the main events. With all there is to see and do in Leesburg, why not stay for all three days of Leesburg Bikefest? If you’re coming from out of town, there are many hotels and campgrounds within a short drive to Downtown Leesburg. Shuttle services to and from Downtown also stop at the Holiday Inn Express & Suites in The Villages, making it easy to travel on foot. Visit the official Leesburg Bikefest website for information about events, entertainment, and lodging. And stay connected with the motorcycle injury attorneys with 911 Biker Law for additional updates and tips, including descriptions of events we’re excited about and insiders’ tips for navigating Leesburg Bikefest 2019!